" November 19th, 1942. As fighting for the ruins of Stalingrad drags on, the Soviets unleash the Uranus offensive that will mark the turning point of the war. Striking the weak Rumanian troops who are allied with the Germans, the Russian armored corps manages to encircle the 6th Army of Paulus. Hitler then dispatches von Manstein, his best general, to restore the situation and clear the 'Cauldron'. 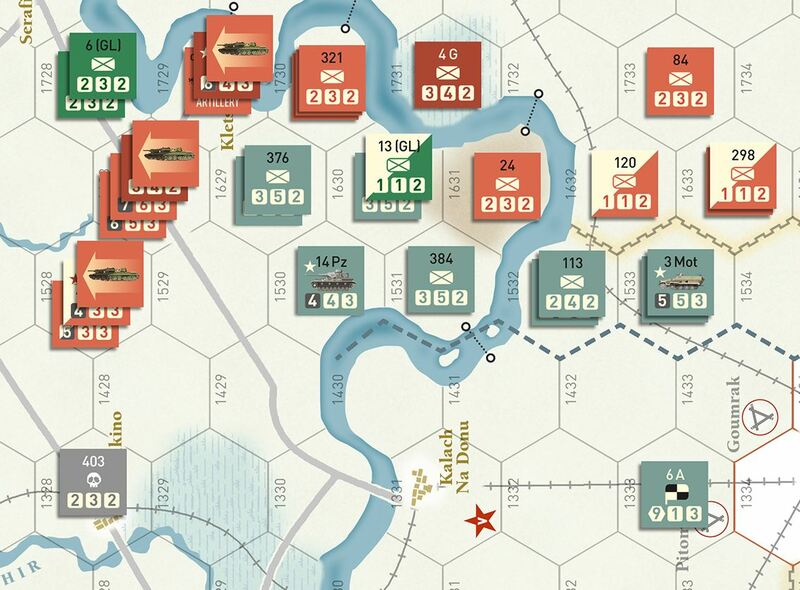 But the offensive fails for lack of resources and lack of coordination with the encircled units. On the contrary, it is the Soviets who launch a new offensive, pulverizing the front held by the Italians. Two long months of agony ensues for the soldiers of the 6th Army, during which Russian troops penetrate into Ukraine, liberating Rostov and Kharkov. At the beginning of February 1943, Paulus – newly-appointed a Marshal – finally capitulates, but his resistance holds in place a large number of Soviet forces and allows Manstein to avoid the collapse of the front. And it is he who will victoriously conclude this winter campaign in a masterful counter-attack, the famous 'backhand blow' leading to the recovery of Kharkov. 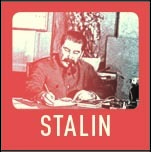 Only the arrival of the mud, which immobilizes all the fighters, enables Stalin to keep his initial gains. " 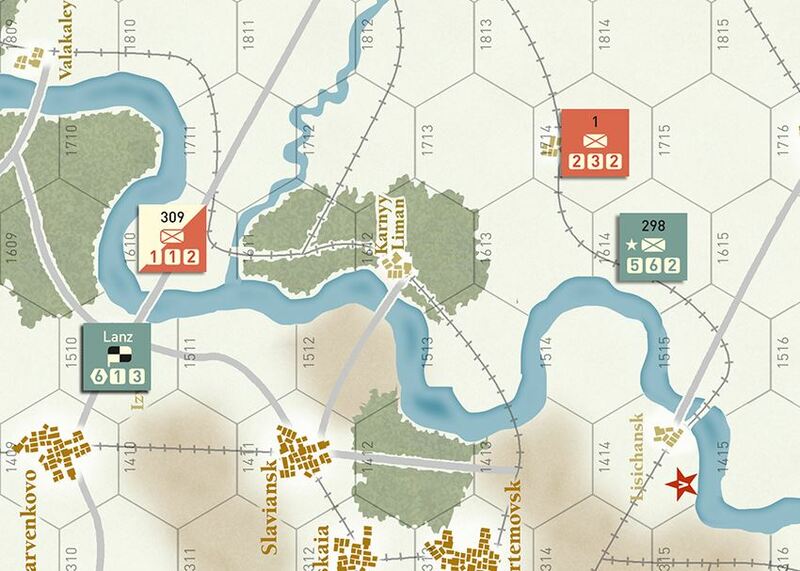 Offensive Roads: Stalingrad is a wargame for 2 players covering the 1942-43 winter campaign on the Soviet South Front. The game begins with the outbreak of the Uranus offensive in late November 1942 and ends with Manstein's counter-attack in March 1943. 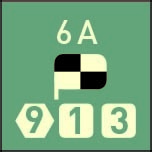 The game is aligned with the 'Roads' series, which features the titles Liberty Roads and Victory Roads (published by Hexasim). The system will be familiar to players who have enjoyed the first two games, but it has been adapted to take into account all the specifics of the campaign. In order to best simulate this exciting campaign, the specifics of each camp have been taken into account. 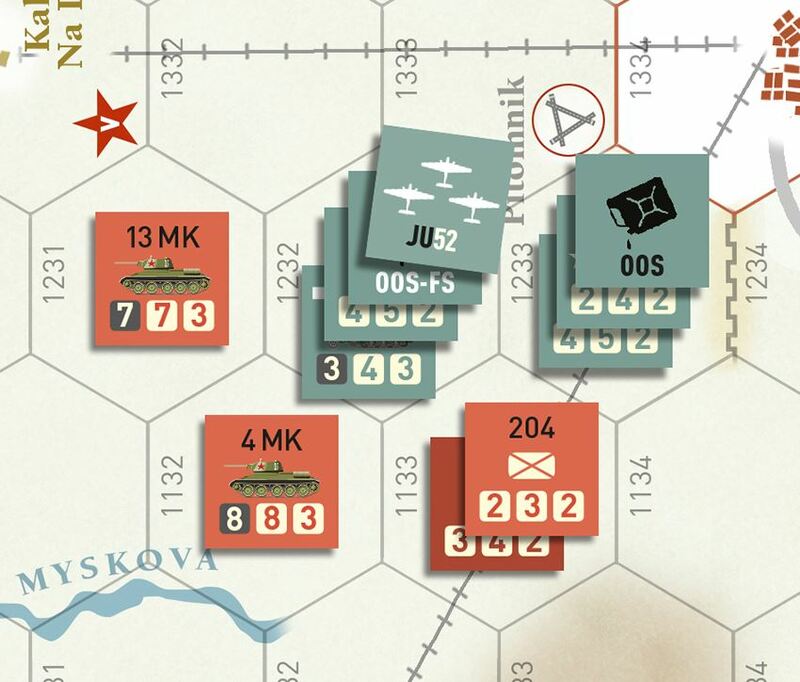 On the Soviet side, the game will focus primarily on planning offensives. 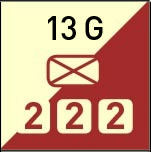 The player will have a major offensive marker and two minor offensive markers. These can be used without any particular constraints, but will generate few supports. The launch of a major offensive will require delicate planning by the Soviet player, but its effects can be devastating. Several other rules concern the Soviet player: management of the Stavka, the Mars operation, and the simulation of offensives that wear out. 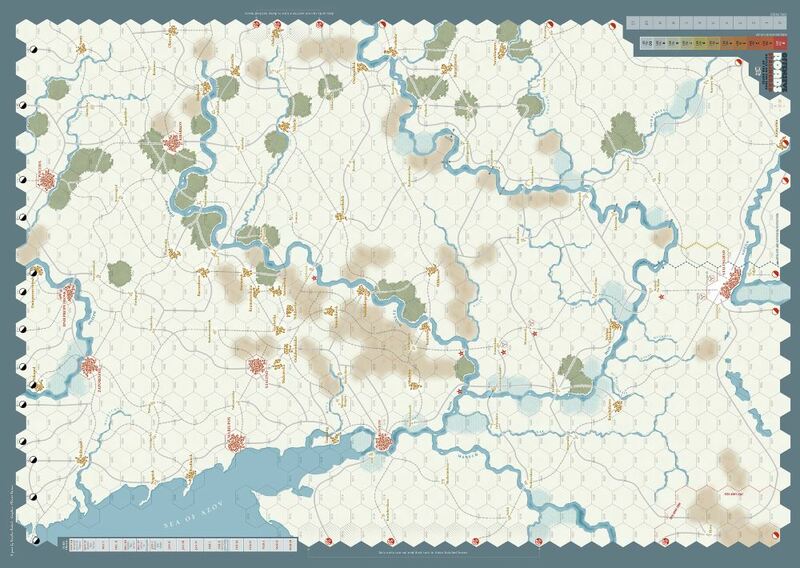 - the supply of the Stalingrad pocket – which is a bit like landings in Liberty Roads – will be a game within the game. Each turn, the German player will try to supply the pocket, and the number of Ju-52s succeeding in their mission will provide the supply level of the encircled units as well as various bonuses or penalties. - There will be a 'Manstein effect' during the course of the campaign. The German leader will have a great influence on the Führer's satisfaction track, but this influence will depend on the success achieved by the player. - The tactical superiority and German ascendancy at this period of the war will be taken into account, but will be challenged by Soviet successes. - Edge of the Abyss: 17 turns. The full campaign begins with the outbreak of Uranus and ends with Manstein's counter-attack. 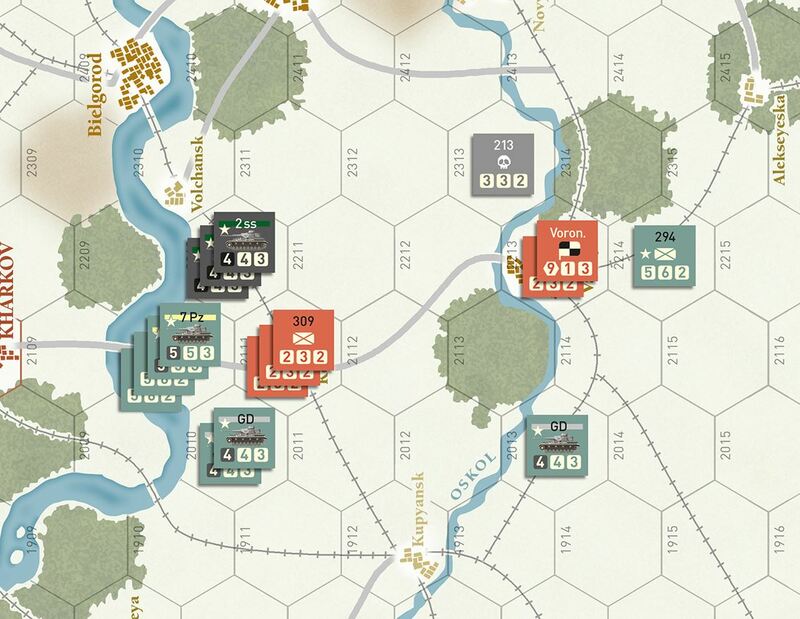 For the first time in the 'Roads' series, the two armies are of equal strength and the German player will have the opportunity to win the game up until the last turn by using his best troops. - Wintergewitter: this small two-turn scenario is ideal for getting started with the system, but is also a challenge for both players. It will be playable entirely on a dedicated player aid. You can already test it online via Cyberboard and Vassal! - Operation Uranus: an essential tool to prepare for the campaign, this scenario will allow you to optimize the Soviet first moves and become familiar with the rules of 'Fortress Stalingrad'. - Manstein's Backhand Blow: a short but intense scenario to maneuver the elite German armored forces and save a desperate situation. - Star and Gallop: Starting in February 1943, this scenario shows the end of the campaign from the surrender of the 6th Army. 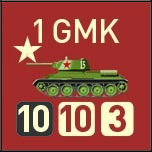 A real game within the game, it allows players to discover these very small simulated offensives and opens up a situation rich in opportunities for the Soviet player. Playmat Offensive Roads : Stalingrad / Battle on the edge of the abyss" November 19th, 1942. As..